Our headquarters are based in the high-tech city of Chicago, Illinois. Our success is due to our high level of equipment, service and support that we are committed to maintaining. RAM - In addition to the hard drives RAM is the most critical piece of hardware. We use Platinum Series RAM with heat spreader. This RAM has been consistently top rated for speed, performance and reliability. CPU - We use only Intel CPU's and stay on top of their latest models. CPU Heat Sink and fan - Keeping the CPU cool is critical. While most CPU's are aluminum or aluminum with a little bit of copper our heat sinks are 19 ounces of pure copper, including the solid copper base and 38 copper fins. Power Supply - We use only Enermax power supplies, with exceptional quality and control Enermax produces and excellent product able to performs to the most rigorous and highest standards imposed by the industry. They also have a strong Research and Development team. Motherboard - The motherboards we use haven proven quality as a result of advanced technologies, inspired innovation and distinctive design. 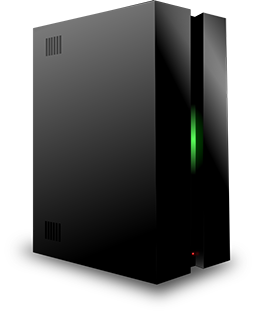 Case - We use special cases designed for servers, engineered for ultimate cooling. To keep the even cooler we pull out the stock fans and replace them with more powerful Thermaltake fans, which can move nearly 3 times as much air. Burn in/testing phase - To ensure your server is top notch we put all new series through a burn-in testing period before that server is used in a production environment. *VPS servers have raid optional for an additional cost. As with all electronics they are not always perfect and we recommand keeping an additional backup even with the use of raid.